The Polog Region in the Republic of Macedonia faces an elevated flood risk owing to the area’s mountainous topography, the dense hydrographic network comprising of torrential streambeds and rivers as well as a high population density along the Shar Mountain Range. In recent years, extreme weather events caused a number of devasting flood events, most recently in August 2015. However, human and economic losses were not only the cause of violent rivers, but are also a result of inappropriate land-use, i.e. construction in flood plains, rapid urbanization in hazard zones and constricted river courses on the fan; an increased logging in forests is responsible for heightened erosion. 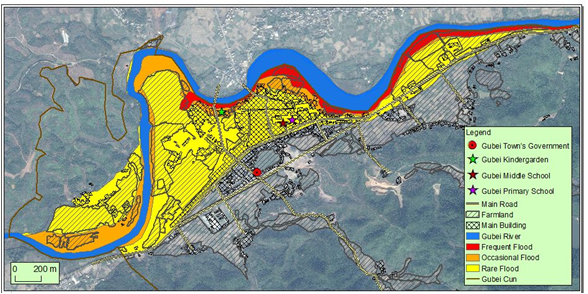 The area of operation of PE is highly prone to hydro-meteorological and geological disasters. In addition, climate change might put infrastructure and services further at risk in the next 25 years, as an analysis of the huge Barsem mudflows of July 2015 revealed. Pamir Energy is at “the frontline” to deal with these challenges. Mitigating the adverse effects of natural hazards and environmental changes requires systematic integration of disaster risk reduction (DRR) into their work plan. Natural Disaster Risk Management in the Southern Mountain Area in Jiangxi – People’s Republic of China has been added to our projects page. 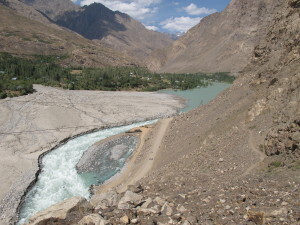 Tajikistan is highly disaster-prone; climate-induced disasters like floods, droughts, mud flows, cold waves or snow avalanches constitute a major threat to people’s live, livelihood and (sustainable) development in almost every corner of the country. Whereas scientific technical knowledge about climate change and resulting natural hazards and environmental degradation exists to a certain extent, the knowledge about the understanding of people’s perception and interpretation of nature and their views and approaches to today’s environmental changes and risks is scarce. This gap was addressed with a research by fieldwork using ethnographic methods in selected villages in predominately Sunni Southern Khatlon and Ismaili Kuhistoni Badakhshon. Barsem Village is located on a large alluvial fan and adjacent smaller fluvial terraces. 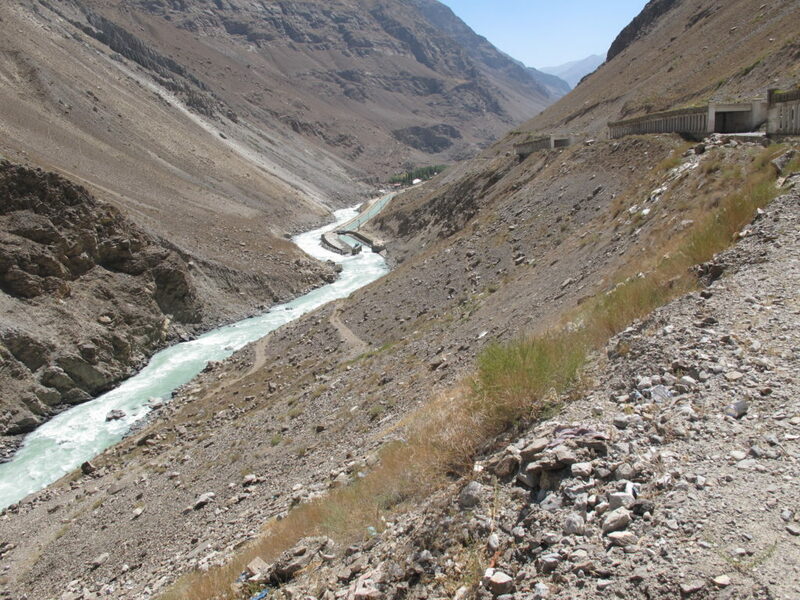 Around 1500 people lived in this village located in the south-eastern corner of Tajikistan, next to the border with Afghanistan, about 20 km upstream of Khorogh, the main town in Badakhshan. At least 14 major debris flows occurred in the Barsem Valley between 16 and 20 July 2015 during an exceptional period of hot weather combined with exceptional rainfall. About 80 houses were destroyed, traffic and energy lines interrupted and fields submerged. At least one person lost his life during the disaster.